It's May and I'm hoping mother nature will get the memo so Spring can finally arrive. There have been more days where I still need a winter coat than I have been able to wear shorts. I had so much fun recreating outfits last month for Pin-spired, I decided to do it again. 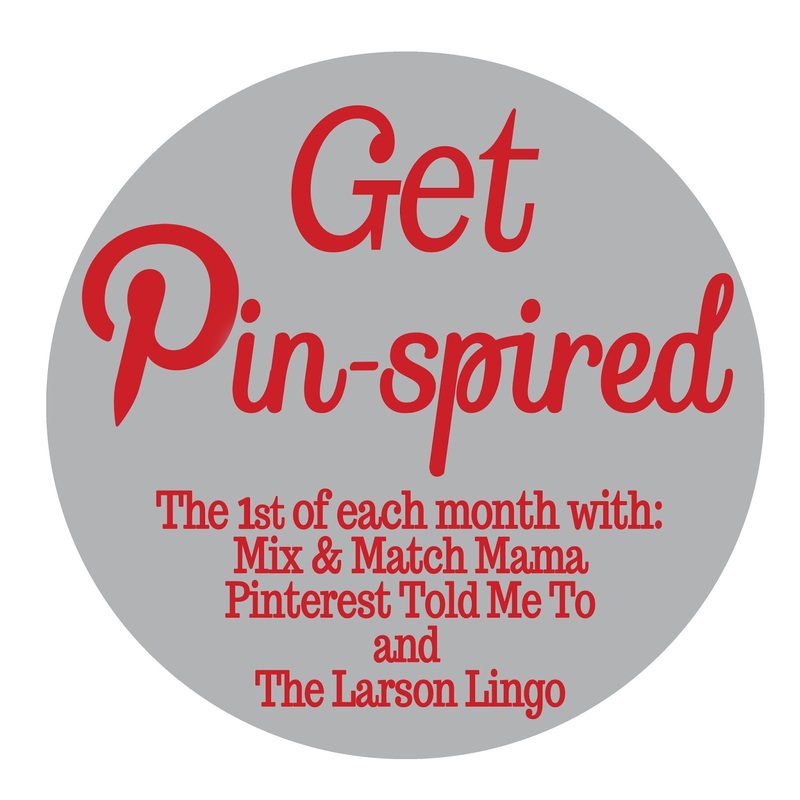 Linking up with Pinterest Told Me To, Mix and Match Family and The Larson Lingo. I recreated these looks on the days I was not wearing an April Style Challenge themed outfit. All of my recreations are with items already in my closet. Love this look on Jessica Alba. The fedora hat is on my wish list for summer. I don't have a yellow cardi but I thought the mint looked great with the bright blue. I don't wear heels very often so I switched out the wedges for neutral flats. 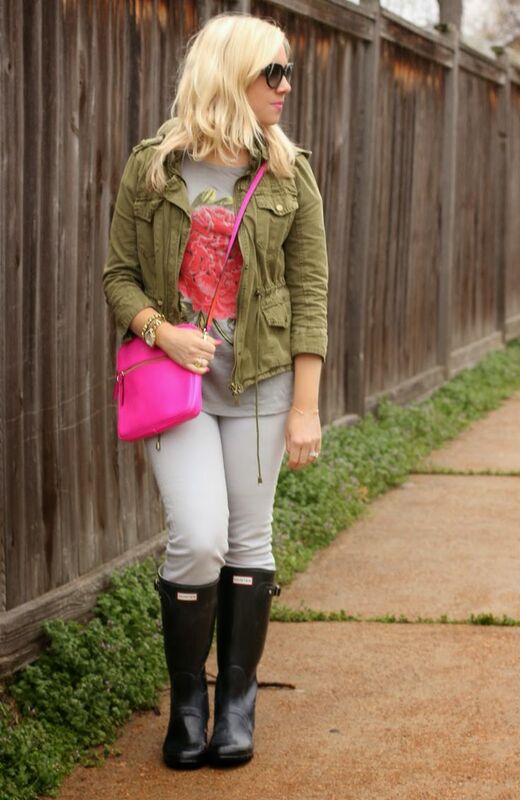 This is a great transition outfit from winter to spring and I'll be wearing it again in the fall as well. statement necklace instead of the pendant. I also could use a little self tanner on the legs. 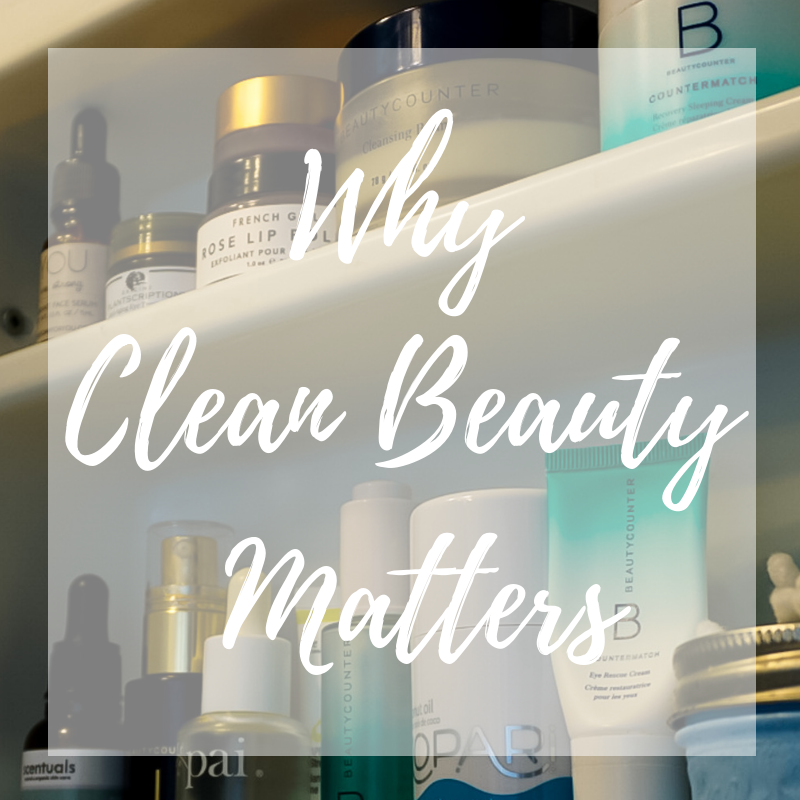 If you are new to my blog, thanks for stopping by! I'd love to know what some of your Pinterest favorites are that you have recreated. Each recreation is spot-on, nicely done! I prefer the mint cardi to the yellow anyway. Thank you Samantha! Glad you stopped by! I love these! You did such a good job recreating! I love this post! Some of the outfits you literally had everything you needed to recreate them perfectly. I love the pink pants outfit - definitely my favorite! Thank you Ashley! 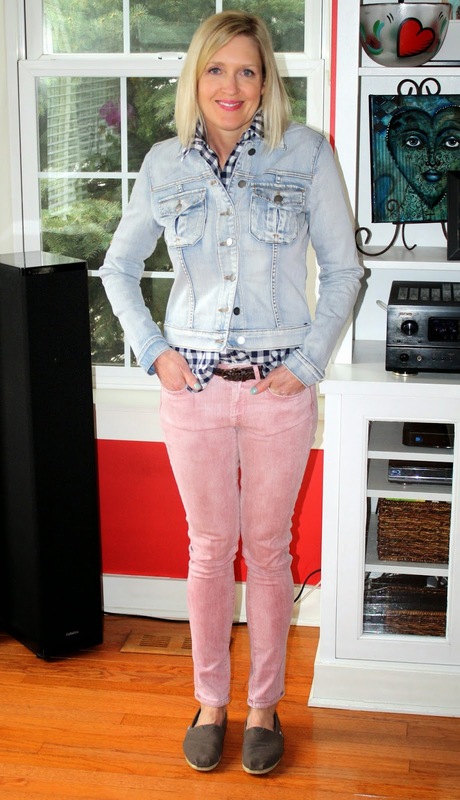 The pink pants/gingham shirt is my favorite too! Glad you stopped by! Ah, I love your style Jill! You look great in everything, and it's interesting that even when we copy/"get pin-spired" personal taste still comes into play in terms of which outfits we pin and choose to re-create. Love your choices! Gina, thank you for the kind words and encouragement! LOVE that you did the pink with gingham too! I did it last week and it's one of my favorite looks to date!!!!! Thanks for linking up. Thank you Sheaffer! Love your pin-spired linkup! Love the floral skirt look on you! What a fun post! Thank you Amy! Glad you stopped by! Love this post! I'm amazed how many outfits you're able to recreate. You must have an endless closet! Great job! They are all really amazing looks, love this post. Thank you Imogen! Glad you stopped by! 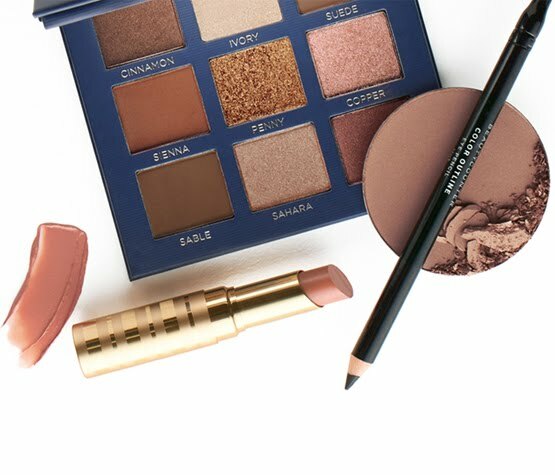 Nice job on these looks! You are really good at recreating these looks! I love your versions of your pinspiration outfits! I need to use my pinterest boards for inspiration more often. Thank you Katie! I'm using it more and more often! Such colorful looks! Love them all! I love the 2nd look! Actually,they're all super cute. Don't you love it when you see a cool outfit on Pinterest and realize you have all the pieces to recreate it? Thank you so much! I get so much inspiration with Pinterest. Not sure what I did before that! 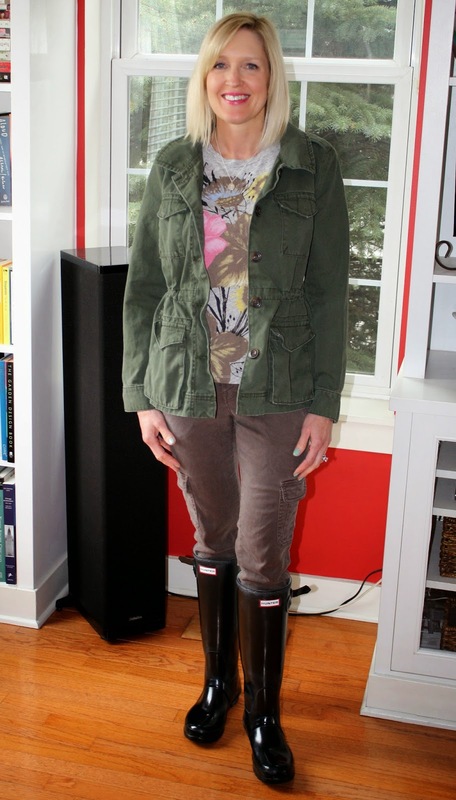 I want some Hunter boots SO BADLY!!!!!!!!! Love that floral skirt!! And I'm all about flats over heels too! I love Jessica Alba's & Jessica Quirk's styles. I also adore Jac and her style. You nailed every single Outfit. Loving the one with the Maxi and the Chambray and Floral Skirt best. If you want Ammy Ann or I to feature your last outfit with the Floral next week on our blog, just let me know. It will be my pleasure. Looking forward to your May Pinterest Posts, too. Ada, thank you so much for the kind words and encouragement! 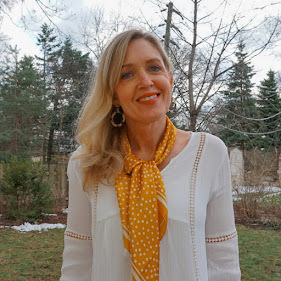 I would love to have you feature my outfit on your blogs! That is so exciting! LOVE all your outfits! I love seeing people interpret things from Pinterest! I need to get better at that. Thank you! I saved up my Gap rewards forever to get those boots! You should start pinning outfits you like and see what you already have and what you can substitute. It's fun! Wow, you have styled so many pretty looks! 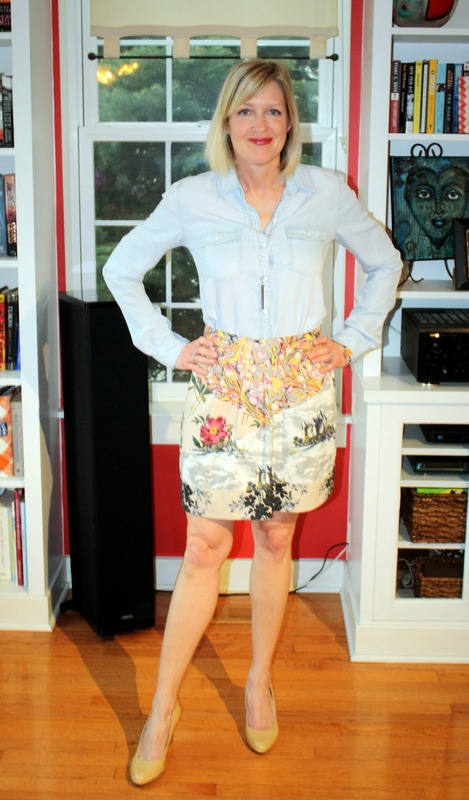 Definitely love the floral skirt + chambray! I got lots of inspiration from your outfits as usual. 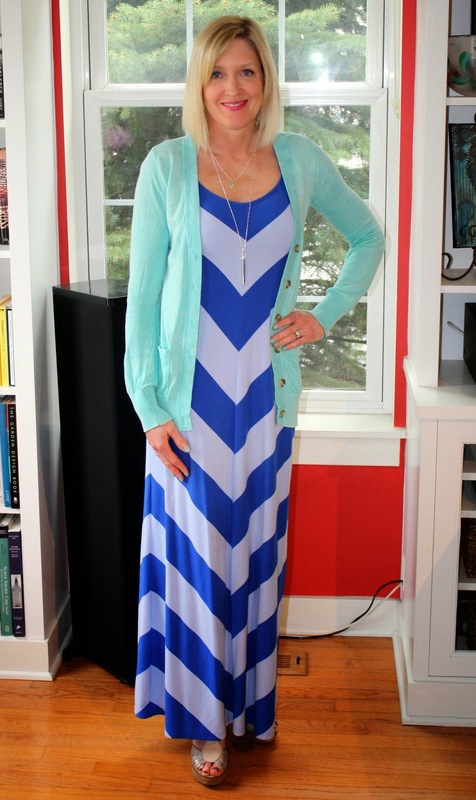 Love the maxi dress with the mint cardi. I need to figure out Pinterest - I'm very late to the party! Thank you Lana! Pinterest is fun once you get started. If you already have an account, feel free to follow me. We have similar styles so you probably would like what I'm pinning. Great choices for inspiration and I think your put together some really cute looks! I have that blue gap dress...isn't it so flattering and comfy? Thank you Merrie! Maxi skirts and dresses are my favorite when I want to look stylish but still be comfy! Wow! great job. Every recreation is fabulous! I just bought gingham shirt from americanfashionfox . Thank you so much Alice! Glad you stopped by! Hey! You're rockin' all of these looks! Thanks for the inspirations! Thank you so much Chelsey! Glad you stopped by!